One year ago this beautiful girl was listed on our Orphan Hosting photo listing with the nickname “Miss Happy.” When our interview team met her in China, they were captivated by her incredible smile and her playful spirit. She was excited to play dress up and show everyone her drawings, but behind her smile was a girl who was holding on to hope. She was hopeful that meeting with these strange people and answering their questions might lead to something new – something outside of the orphanage. Last winter, Miss Happy was matched with an amazing host family and she had the opportunity to come to the United States to live with them for one month over the holidays. 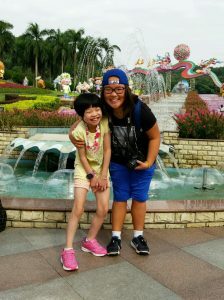 She had the chance to see life outside of the orphanage and she had the opportunity to experience the love of a family. 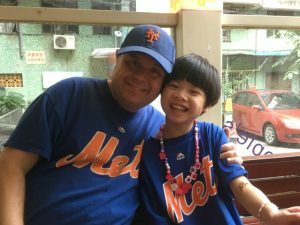 Now, less than one year later, Miss Happy’s host family is in China preparing to bring her back to the United States and welcome her home forever. Although we’ve simply been following their journey through photos, it’s clear that Miss Happy has already gone through a huge transformation. While her smile is still as big as ever, it has changed in so many ways. It’s the smile of a beautiful girl who finally has the opportunity to be carefree. After years of worrying and waiting for a family to come get her, she finally gets to relax and be a kid, because she’s not “Miss Happy” anymore – she’s Celia Ginger Stark. She is a daughter and a sister, but most importantly she is loved. Celia will never have to spend another holiday season longing to be part of a family, and she will never spend another birthday worrying that she’s one year closer to “aging out.” The days ahead of her hold so much love and so many firsts, and we can’t wait to continue following the amazing journey that began with Orphan Hosting. There are so many children in China that spend their lives waiting. They are overlooked not because of choices they’ve made or because of things they’ve done, but because of their age or their special needs. 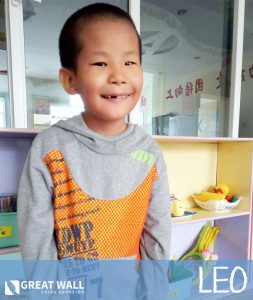 These kids are INCREDIBLE, and our Orphan Hosting program gives families the opportunity to get to know them, not as they’re described in their medical file, but for who they really are. We are currently matching children for our upcoming winter Orphan Hosting program, and we’re so hopeful that these kids will have the same experience that Celia did. If they are hosted this winter, they may never have to spend another holiday season in an orphanage. Our host families play a huge role in helping these kids find families, whether they themselves adopt their host kid, or whether they advocate on their behalf. There are only a few days left to be matched with one of these amazing kiddos, so if your family or someone you know is interested in learning how you can become a host family, contact our hosting coordinator at shannon@gwca.org today! Together, we can end their wait. Congratulations Celia, and safe travels home! What a beautiful story! Congratulations to the lucky family!